Hey everyone! 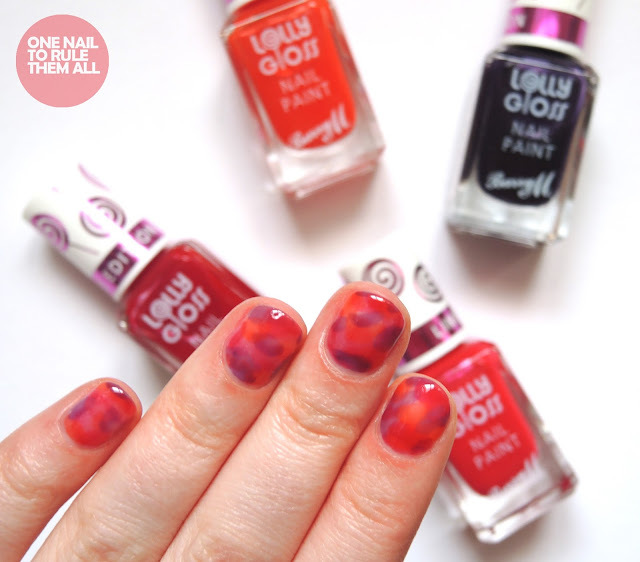 Today I have a review of the brand new Barry M - Lolly Gloss collection*, but rather than swatches of the collection I'll be reviewing in the form of nail art. The collection consists of four limited edition translucent shades, scented in Raspberry and Strawberry. I was quite sceptical about them being scented because normally the smell of nail varnish is just too overpowering in scented polish but these really do smell fruity, I could still smell it after topcoat and a couple of hours later too. They also dry very glossy as the name would suggest. 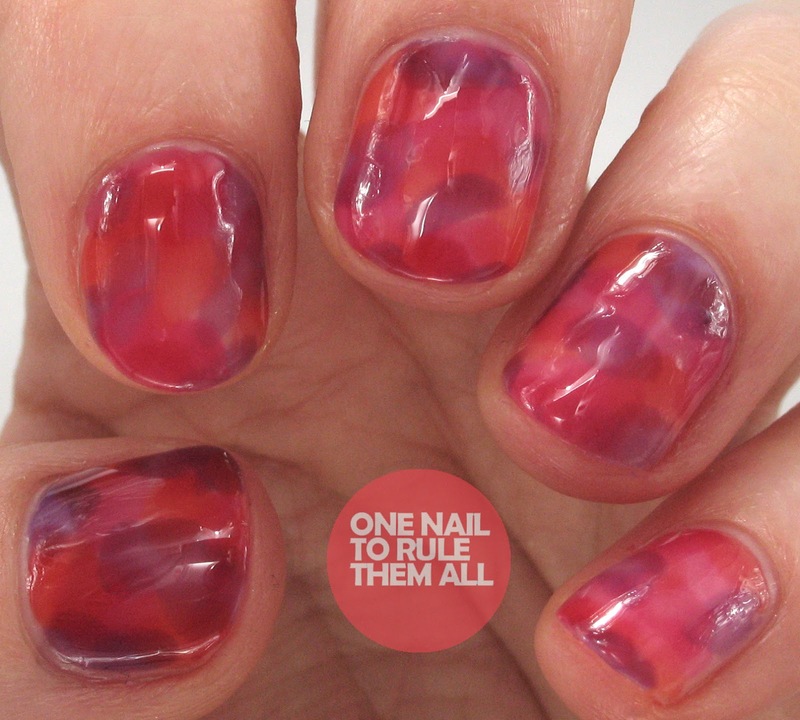 The polishes can be worn alone or together, so I decided to put them together in this marble/red tortoise shell look. Read more after the jump. I've got a very sweet tooth so anything related to sweets was always going to appeal to me (although I'm slightly disappointed I can't eat them), but I really like these. They're similar to the OPI - Colour Paints but are of course scented, and much cheaper at only £3.99 a bottle. For the nail art I just blobbed the different shades on my nail until the nail was covered, and finished off with a topcoat. I wish I could pretend there was a cooler technique behind these but I really did just whack on the nail polish and I was done, quite possibly the easiest nail art I've ever created. 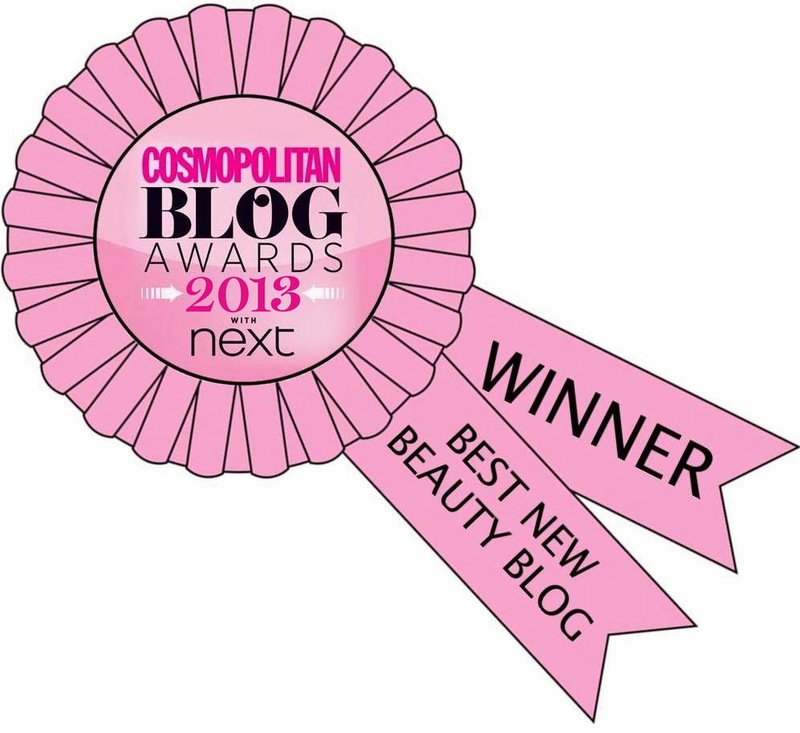 You can buy these now at Superdrug (online here), or on the 11th May in Boots for £3.99. Gorgeous nail art Alice, I love these fruity polishes. I've seen some stunning jelly sandwich designs with these polishes too so I can't wait to try these out. LOVE this mani! They look so juicy and glossy, I bet they smell amazing! This looks so good, especially for how easy it was! Not sure about the scented part though.. Perfect nail design to go with these fun sorbet shades! This is awesome! I can't handle all the squishiness! It's so good! Great mani! They seem like they would be so much fun to pay with! Love it, and I am so curious now to smell them too!